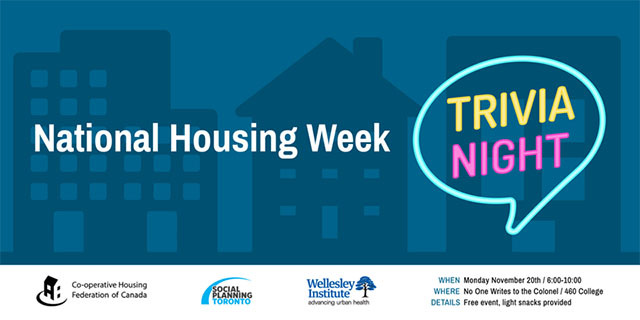 From pub nights to panels, here is everything that's happening for National Housing Week in Toronto. Top image caption: A housing row in Toronto. National Housing Week is a moment for Canadians to come together and acknowledge that safe, affordable housing is an integral part of strong, livable communities. More than ever we need to band together to have a collective voice on housing in this country. This is the third year in a row we are working with partners in the GTA to raise the profile of important housing issues and for 2017 we want everyone to be included. Join us at one of these great events for National Housing Week Nov. 19-25. You've read the articles and retweeted all the tweets! Come and prove your housing chops while making new connections to create a better housing system for all. The night promises opportunities to earn serious bragging rights and win some sweet prizes. Panel Discussion: What will make housing affordable again? Wondering if housing will ever be considered affordable? 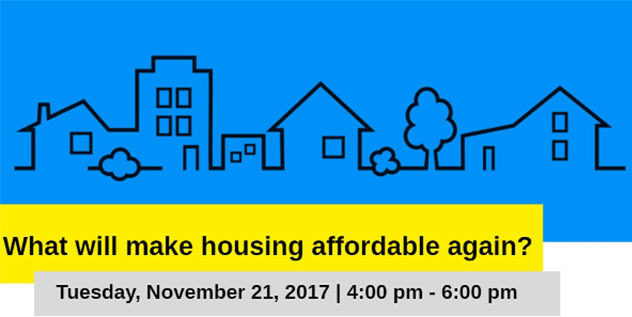 Join us for this expert panel to discuss the future of home prices and the opportunities and challenges the GTA faces in providing affordable housing. This forum hosted by the Toronto Alliance to End Homelessness is open to the public between 12-4pm on Thursday, Nov. 23 at the Regent Park Community Centre. To register email Kathy LaBrosse at labrosse_k@cotainspires.ca. 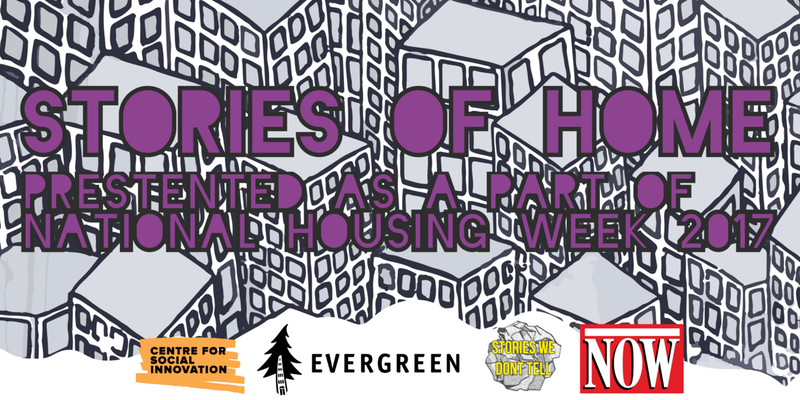 Evergreen, Centre for Social Innovation and The Stories We Don't Tell are coming together to host a conversation about housing and home. Six different people will tell us about their journey in finding their “home.” In the lead-up to the event, Evergreen’ Michelle German will be guest hosting the Stories We Don’t Tell podcast. Check out the first episode! Not in Toronto but want to be part of the conversation around housing affordability? Follow along or share your thoughts with #HousingWeek2017.